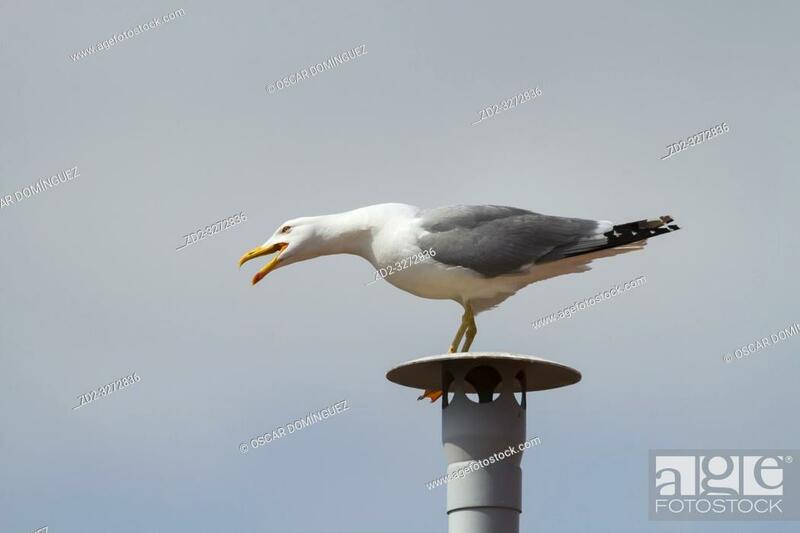 Foto de stock - Yellow-legged Gull (Larus michahellis), adult perched on a fake chimney. Barcelona. Catalonia. Spain.